We are thrilled to announce that we are entering an agreement with Cal Spas to become a featured dealer. Cal Spas has been operating at a high level of excellence for 38 years and we are thrilled to be selling the award-winning hot tubs and spas in the Las Vegas region including Henderson, Southern Highlands, Summerlin, North Las Vegas, Anthem, Seven Hills, Green Valley, Aliante and other areas. 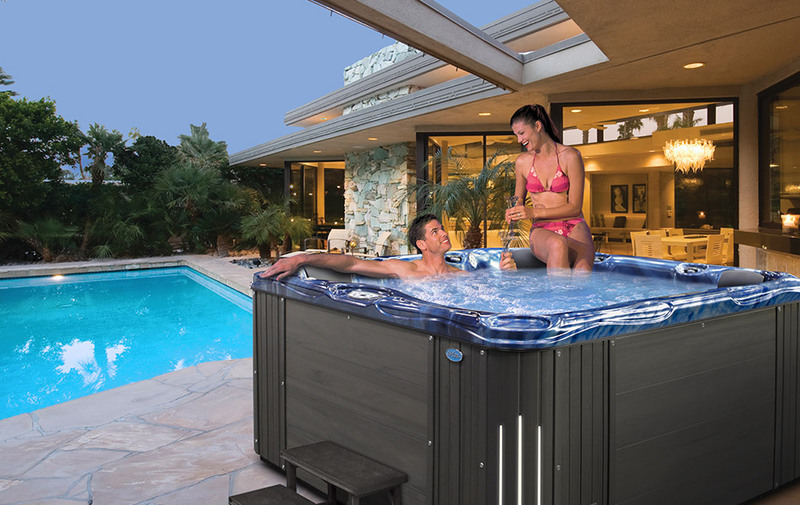 Here’s a little about the Cal Spas company: “The celebrated hot tub maker is world renowned as the #1 Global Manufacturer of Home Resort Products. Cal Spas produces premium collections of lifestyle products from its headquarters in Pomona, California and distributes worldwide through a network of specialty dealers. Now we will be one of those specialty dealers and look forward to showing all of you the product and helping you make your spa dreams come true. Cal Spas ownership and management has always been on the cutting edge of the industry and their story reflects their commitment to growth and helping customers. Cal Spas began with a small selection of hot tubs in a choice of only a few colors and styles. The brand grew in popularity and quickly began nationwide distribution. In 1995, after 16 years in the spa business, Cal Spas went in a new direction and was dedicated to become a global leader in luxurious outdoor living products. In 1997, the company launched the tagline “Changing The Way You Feel” to reflect that mission of offering a full collection of products. If you’re interested in more information, please call us at 702-436-8080 or stop by our show room for more details. Check out a sneak peak video of Cal Spas.